Over the past day the illegal armed formations in the East of Ukraine have violated the ceasefire in the area of the Antiterrorist operation 15 times. As a result of hostilities, one Ukrainian soldier was wounded, according to the report by the press center of the ATO headquarters. “At the end of the past day, the situation in the area of the ATO has not undergone any significant changes. 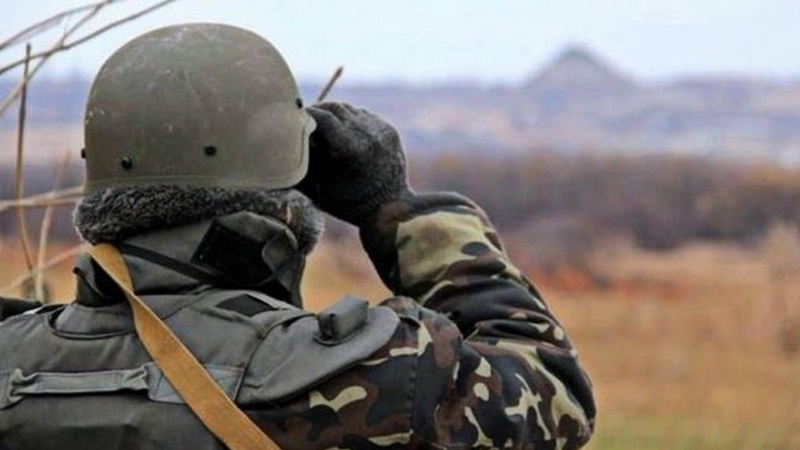 Using already typical tactics, Russian-occupation groups intensified shelling of our positions in the period after 18.00 ... During the 12 shelling, ATO soldiers symmetrically returned fire to the enemy,” the headquarters reported on Wednesday morning. In the Donetsk direction, the militants hit three times on the outskirts of Avdiivka from various types of grenade launchers, heavy machine guns and small arms. Ukrainian defenders severely suppressed the activity of militants. As a result of this confrontation, around 6 pm, one serviceman was injured. Now the victim is in a medical institution, his state of health is satisfactory. Furthermore, at the end of the day, the fortifications of the Ukrainian Armed Forces near Kamenka and Butovka mine came under the grenade launcher fire. In the coastal direction, militants used grenade launchers on the approaches to Marinka, large-caliber machine guns near Shirokino, and Gnutovo district was fired from the arms of personnel carriers. On the Lugansk direction, the militants fired twice from the small arms near Krimsky village. Earlier, on September 25, Joined Center for Control and Coordination of ceasefire and stabilization of the line of delineation of parties reported that militants fired mortar shells of 82 millimeters from the settlement of Marinka (Donetsk region).